LIMITED TIME Black Friday Sale: Save on Silhouette U, Silhouette School eBooks, and So Fontsy Site Wide!!! 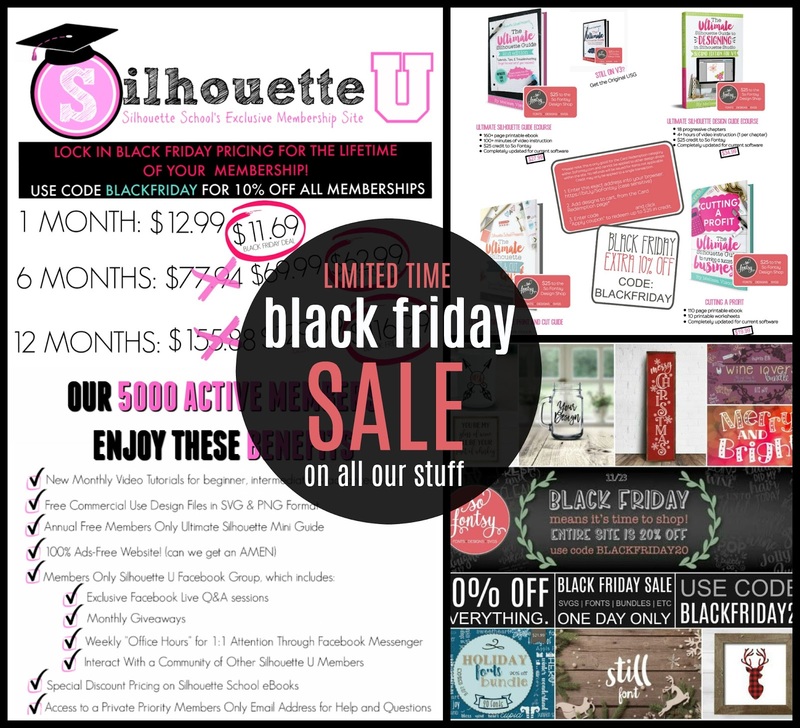 We've been sharing Black Friday sales all week from our partners, but now it's time for the big Silhouette School Black Friday sale! 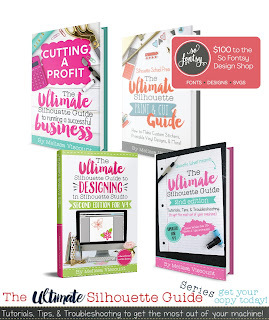 We have limited time savings across all of our sites: Silhouette U, Silhouette School eBooks, and So Fontsy. 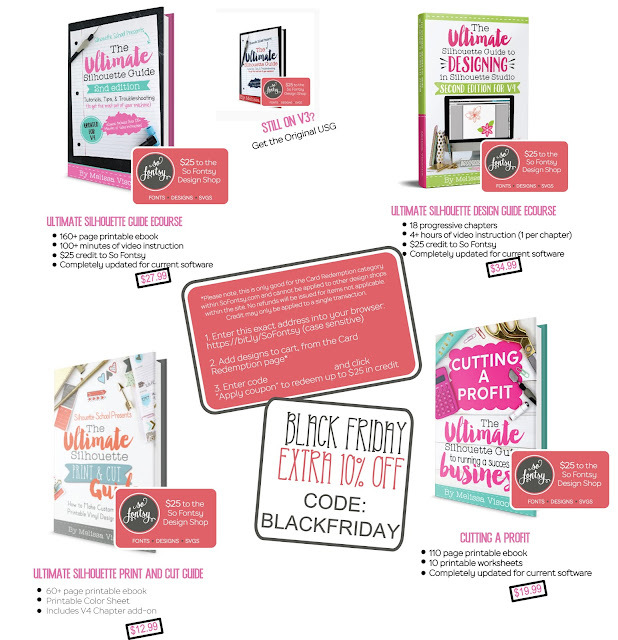 Special pricing is available on Friday, November 23, 2018 from 12:00am EST - Saturday, November 24, 2018 at 11:59pm EST only. 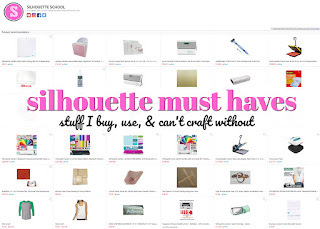 To participate and be eligible for the Silhouette U new member sale, you must be new to Silhouette U. This means that you cannot have an Active, Cancelled, or currently ongoing membership term at the time of the new member sale, or currently have any membership plan at the time of the new member sale, including: Gift Card plans, Free plans, Test plans, or PayPal Legacy Membership plans. 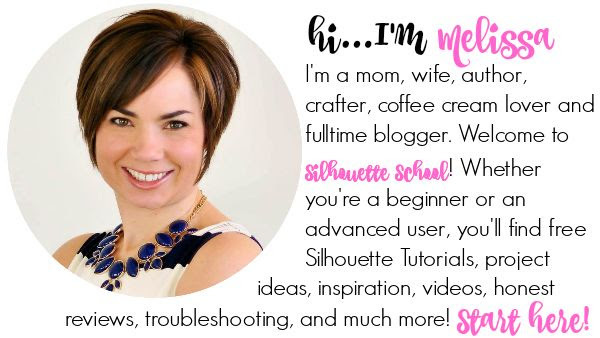 Silhouette School Inc (the company that runs Silhouette U) has the right to change or stop this promotion at any time, for any reason, at the sole discretion of Silhouette School Inc. 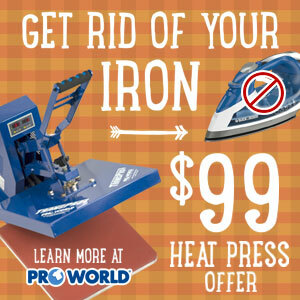 This offer cannot be combined with any other offers, coupons, or promo codes including, but not limited to, 30-day free trials. 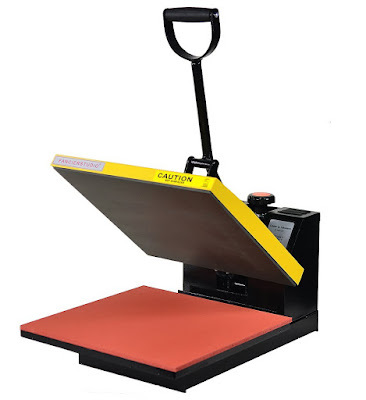 If the member cancels, the membership expires due to failed payment, or the plan is cancelled by Silhouette U or Silhouette School Inc. and the member then re-joins, regular pricing applies. 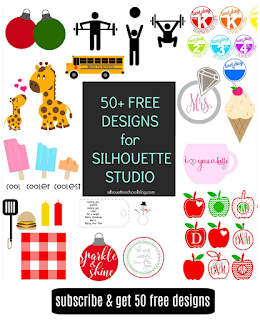 10% Off All Silhouette School eBooks and eBook Bundles! 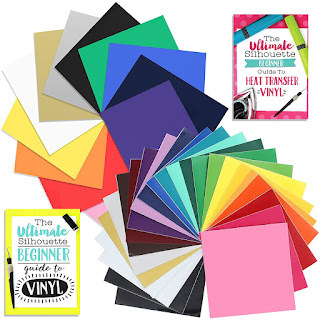 The Ultimate Silhouette Guide series has sold more than 100,000 copies, has been described as the Silhouette bible, and is now sold with the Silhouette machines. 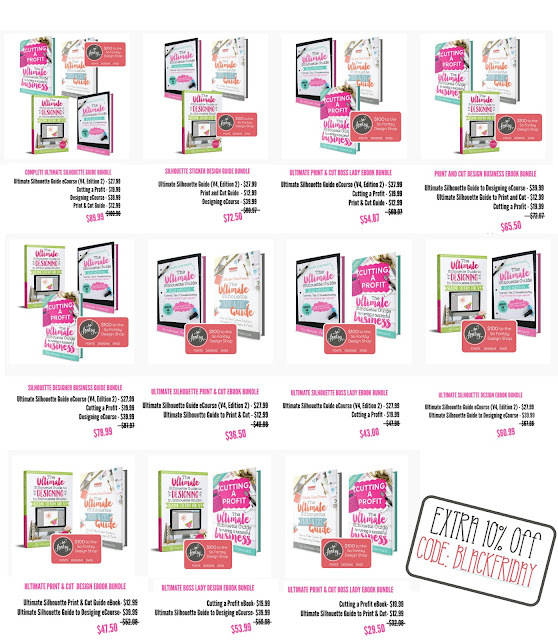 We rarely put the ebooks on sale so don't miss your chance to save 10%! 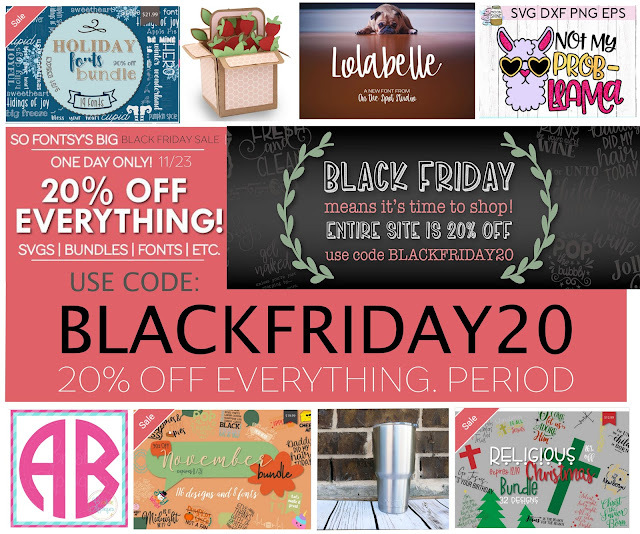 20% Off SITE WIDE at So Fontsy! 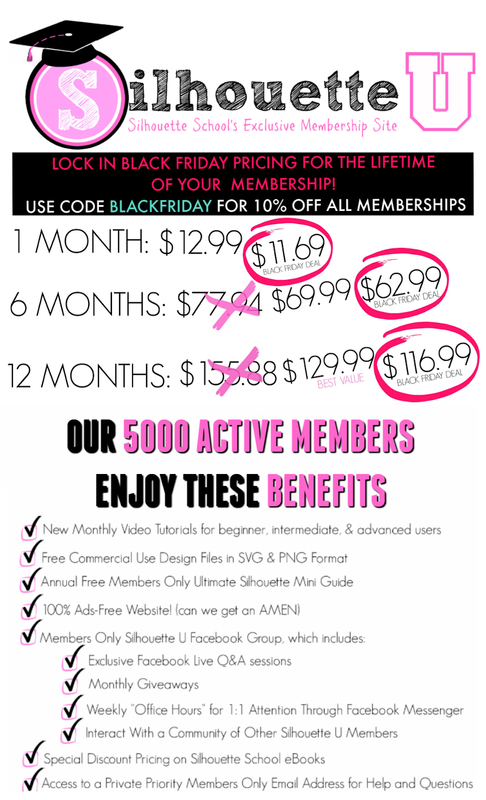 Design and Font Bundles, Cut Files, Fonts, Mock Ups, Sale Items, Sketch Fonts...Everything. 20% off...NO EXCEPTIONS!